It takes a romantic to be utterly enamored with unique displays of time, and in the midst of what we have come to expect from Richard Mille, something totally different was to be found in their presentation this year at SIHH. It’s worthwhile though that we are all on the same page when we think about this watch, and for that, have a look at this short video to understand why this watch is nothing like what’s come before from the brand. What is obvious from the video is that the hour indices are on a sapphire disc that rotates counter-clockwise. Not so obvious however, perhaps due to the short length of the video, is that the hour and minute hands rotate as well but clockwise. All that it takes to activate this stirring ballet of movement is a pusher at the centre of the crown. 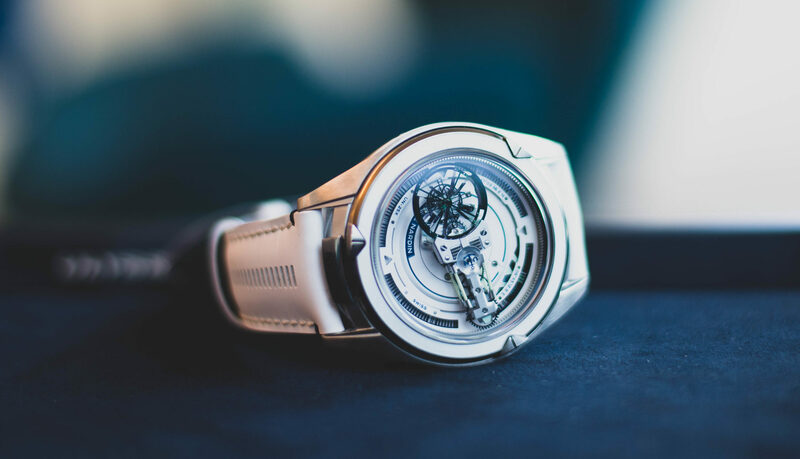 Most obviously then, this complication offers a commentary on the nature of time, and for a no-compromise, Formula One inspired tech brand like Richard Mille, it might seem a little disingenuous. Yet it seems, when a brand introduces something that is out of character, it sometimes signals a change in the prevailing wind of it’s identity. My guess: with the brand having come through from nowhere to establish itself as the de rigueuer status symbol for the ultra rich, (Look out for our article on Richard Mille watches as the Secret Billionaire’s handshake.) something new has had to happen. Perhaps this is but an example of the exploration of other emotional possibilities yet to be mined with the Richard Mille brand. The whimsical nature of this watch works in this way: from the outside, it is like any typical Richard Mille with no hint of it’s complication anywhere. Push the button at the centre of the crown though, and the time starts a dizzying dance, with the hour indices rotating one way, and the hour and minute hands rotating the other, both at different speeds. Of course, it becomes obvious, that in this state, the watch becomes a statement piece, releasing the owner from the bounds of time, and allowing him to be in the moment with it’s flow. To return to normalcy, all it takes is another push of the same button, and the hands and dial snap back to display the correct time. Of course, this concept is not new, having been seen before in watches from other brands. 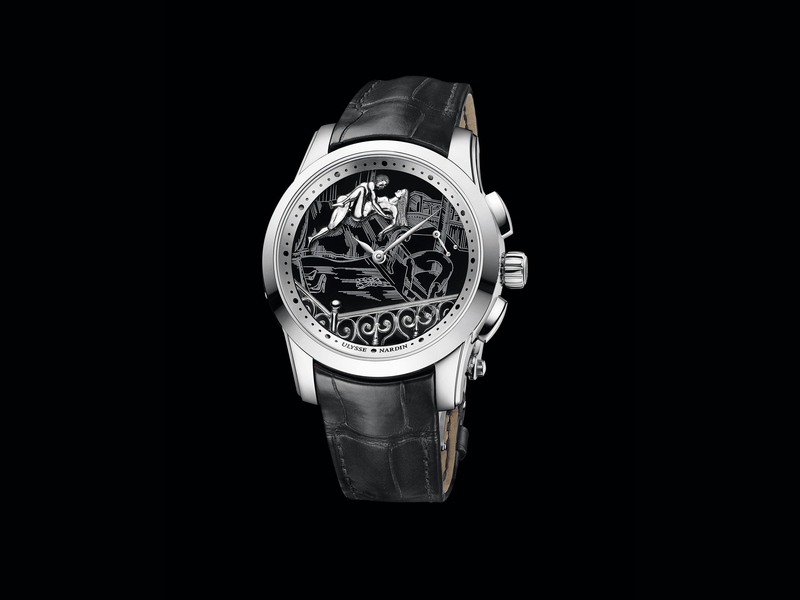 Yet it combines the suspended time aspect seen in the Franck Muller Secret Hours and the Hermès Arceau Le Temps Suspendu, (with frozen hands) with the playful (but still time displaying) hour hand movement of the Franck Muller Crazy Hours. 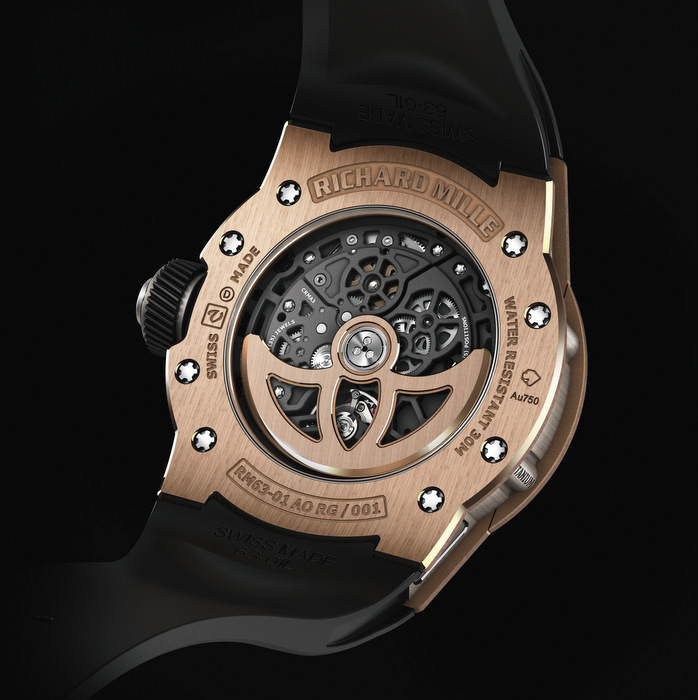 The Dizzy Hands then from Richard Mille feels like a combination of these two concepts. 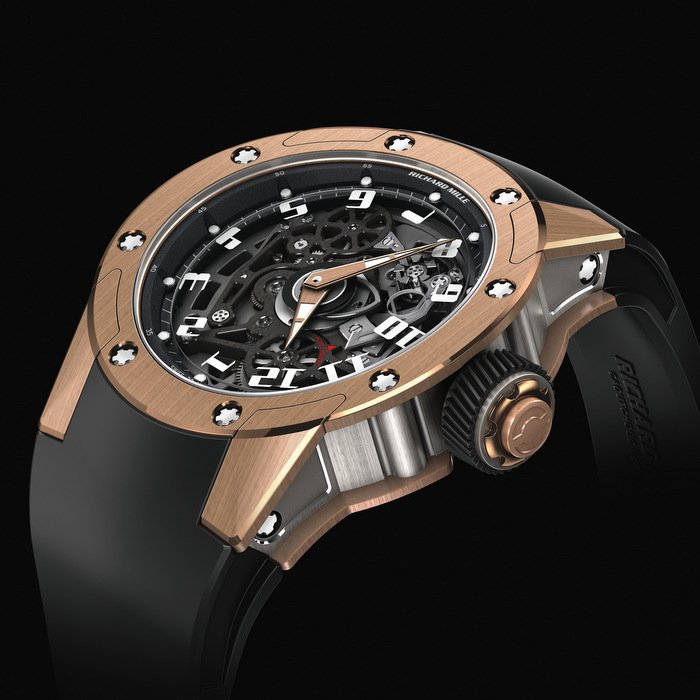 As a conceptual timepiece, this watch does go some way to stir up strange emotions, and with it coming from Richard Mille, the feelings that it brings up are all the more profound. That a new movement, the calibre CRMA3 was created specifically for this watch, utilizing principles taken from chronograph design, does show that the focus of the brand is widening to embrace other possibilities. One wonders then what other watches will come from this first artistic seed, a delightful surprise hidden away in this year’s presentation. 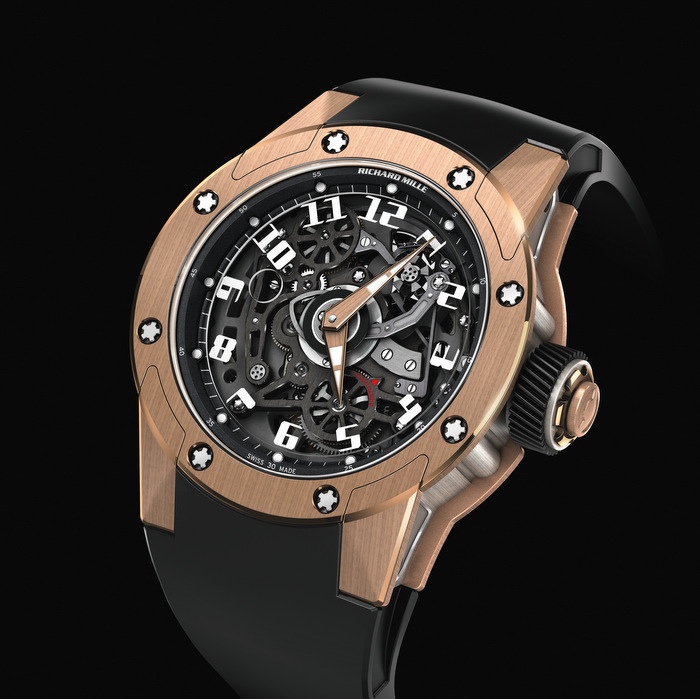 The watch comes in grade 5 titanium, with PVD treatment and bidirectional rotor with a gold Celtic design. A new round case surrounds the movement, made with an 18K red gold front and back bezels with a central case band of titanium. Unique as well to the round watches from the brand, The Dizzy Hands is the first to come with a curved, round bezel.